Currently 548 visitors online at SuggestADoctor.com. I cannot say enough about how much I appreciate Dr. Linda Litzinger. She is the very first physician who took the time to listen to my specific problems and explore all other alternatives before making a joint decision with me on the course of my hysterectomy. She is extremely personable, caring and understands the needs of her patients and she always ends your visit with a warm hug. She described in great detail what exactly would take place before, during and after my surgery, this way, there would be no question in my mind what to expect. I highly recommend Dr. Litzinger to anyone in the Central Texas area. Is this Review about Linda Jane LITZINGER helpful to you? On a scale from one to ten, Dr. Park is a 10 ++++++. He is the only doctor that I have ever been seen by that actually sat down with me for a good half hour before he checked me. He was very concerned and trully wanted to help me with my problem. He preformed a partial hysterectomy on me and I have never felt better. He is very comforting, friendly,knowlegable, gentle and understanding. He explained everything so that I understood him, I have never had a doctor give me his personal pager number, Dr. Park did. He always makes sure that I did understand and that I was comfortable with what we were about to do. He wanted to know if I had any questions, and he listened when I did. I would recommend him in a heart beat, he is GREAT!!!!!! Is this Review about Jung Mok PARK helpful to you? Once again I cannot say enough about Dr Clary. He diagnosed my incontinence in the spring of 2005. He suggested to me that I would be a good candidate for the TVT procedure. He then peformed the procedure and I have my life back. I am able to live life without worrying about where the nearest restroom is. Dr Clary is an absolute angel. He is extremely kind and caring. He has always gone out of his way to make me feel comfortable during our visits. Dr Clary was named one of the "top Docs" in Richmond last year and I am proud to be a patient of his. Is this Review about Boyd CLARY helpful to you? I really can't say enough about Dr Clary. He performed my hysterectomy almost a year ago and although I had a difficult recovery he never gave up on me. He has always been honest and caring and has never done or suggested anything that wasn't the absolute best for me. I can honestly say that he saved my life not once, but twice. I am very lucky to call him my Dr. Last year Dr Clary was voted one of the 'Top Docs' in Richmond I am living proof of that. David A Fishman M.D., M.S., B.A. Professor / Director- Gynecologic Oncology, Cancer Prevention and Early Detection- NYU Cancer Institute Department of Obstetrics and Gynecology Member of NYU Women's Cancer Program Dr Fishman disgnosed my Ovarian and Uterine Cancer and performed my TAH/BSO in November 2004. He oversaw my 6 months of chemo and I currently see him every 2 -3 months. He world renowned for his research and has the most incredible bedside manner as well as being a stellar surgeon. He takes a personal interest in every one of his patients and is very comforting yet straightforward, trustworthy, friendly. I trusted him, and still do trust him with my life! Is this Review about David FISHMAN helpful to you? Part of the C. Paul Perry Pelvic Pain Center, Dr Childs has become one of the best (second only to Dr. Perry of course) in the treatment for chronic pelvic pain. I am indebted to he and Dr. Perry for making life just a little (a lot) better! Is this Review about Alex CHILDS helpful to you? Dr Perry's Pelvic Pain Center in Birmingham has been a constant shining light in my life since becoming his patient in May 2004. Dr Perry and his staff have always put me, the patient first, and have always made me feel comfortable and at ease with all treatment plans. Three cheers to Dr. C Paul Perry and his wonderful staff (and lest not forget Dr.Alex Childs for his awesomeness! Is this Review about C. Paul PERRY helpful to you? Dr. Pamala Temples did my LHS surgery and she did a fantastic job. She is a wonderful, friendly and down to earth Doctor. I will continue with her for all my future OB needs. She really takes the time to listen and she really seems to care. No matter how backed up her office got, I was not rushed in and out of her office like most doctors do. She always made sure all my questions were answered to my satisfaction. She made me feel like I was important and not just another patient. Is this Review about Pamela Hoover TEMPLES helpful to you? Is this Review about John Francis STEEGE helpful to you? Is this Review about Edward Gerald WOODWARD helpful to you? Dr. Bearman was the first doctor who recognized that I had a problem and diagnosed it. After visiting several gynecologists over several years, I finally found a great doctor who listened to me and my symptoms, found the problem, and addressed it, instead of looking and me and trying to figure out the problem with no tests or real evidence. Dr. Bearman only practices gynecology at this point in his career, but I highly recommend him to any woman in Atlanta looking for a reliable, personable and smart doctor. And not only is Dr. Bearman good, so is his whole practice from the front desk to the techs to his nurse. Very high marks! Is this Review about Dale Mitchell BEARMAN helpful to you? Is this Review about Michael THESING helpful to you? 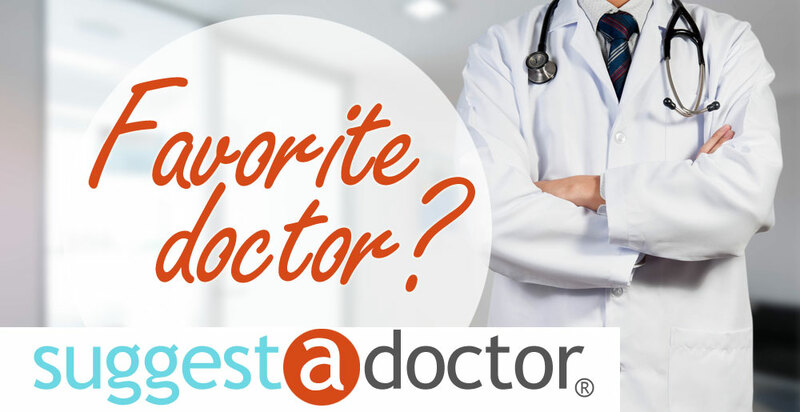 Dr VanBiber has been my family doctor for over 15 years now. He is kind, patient and very helpful. He helped me thru my asthma and allergy problems, referred me to specialists for my stomach problems and was always ready with samples if I ran out of meds. You almost never have to wait for an appointment. For example, I called last week Tuesday as I was very sick, I got an appt that very day. If you are sick, they will make room for you. I highly recommend him to anyone looking for a family doctor. Is this Review about Russell Carl VANBIBER helpful to you? He is a very knowlegable, compasionate, and patient person. He takes the time for all his patients. He gives lots of information and answers questions. He has a large family, so he understands the demands and busyness of families.My phone calls are returned, wait is usaully short, tests and action are ordered.I have more than one child, all their needs are met. One child has a condition which requires a lot of care, and we get it, but with all the kids. Is this Review about Nathan RENDLER helpful to you? Great and answers all questions, very knowledable. He is very casual and makes you feel comfortable, and at ease. He returns phone calls and takes action for tests and such.Very compasionate when there is a serious issue. Repectful to spouse and family members. Expext to wait though.. quite a while, but I always felt it was worth it, and others will wait for me if I have a pressing issue. Is this Review about Robert Fredrick LASTING helpful to you? This is the doctor who performed my TAH/BSO, TVT-O and other bowel repairs. I appreciated his ability to help me feel at ease while maintaining a professional manner. I was impressed by the time he spent listening to me and making sure to answer all of my questions until he was sure I understood what he was saying (during office visits, pre-op and post-op). He is extremely knowledgeable about and treating PCOS. Please note that this doctor also has an office in Springboro, OH. Is this Review about William MCCULLOUGH helpful to you? Dr. Worthington-Kirsch is one of the leading providers and researchers for uterine artery embolization. He's also a very caring doctor. He and his wonderful office staff were extremely helpful offering information and support before and after the procedure. And his relationship with the hospital facilitated the whole experience from admission to discharge and even billing. Is this Review about Robert KIRSCH helpful to you? Dr Layne is an incredibly intelligent woman who has a no-nonsense style which I appreciate. She says exactly what she is thinking and makes no bones about it. She's very compassionate as well and remembers you, your family, etc and always asks about them. She is also a General Practictioner and treats my adult son as well and has done a great job making a connection with him. He is not easily impressed with people but she is one person whom he has a lot of respect for. I would totally recommend her and do so every chance I get! Is this Review about Tanya Elisabeth LAYNE helpful to you? Dr Davis performed both my endometriosis and hysterctomy surgeries. He is a fabulous Physician with cutting edge knowledge and a wonderful, wonderful personality. He and his staff are incredicbly compassionate, professional and just an all around joy to be a part of. (Yes, they make you feel like you are a part of them.) I HIGHLY recommend this office. Is this Review about Gregory DAVIS helpful to you? Dr. Christian Pope is a wonderful, caring, conscientious doctor. He is an ObGyn working in a large group of physicians and mid level practitioners. I have been his patient for over two years. I have never had a better doctor. In that time I have come to know him very well as I have had numerous gynecological procedures and several surgeries. He has gone above and beyond the call of duty for me. He makes you feel as if you are his only patient, never rushing, really listening and genuinely caring for you as a person. I have always been pleased with the prompt way he returns calls and the way he immediately puts you at ease when you see him. I am proud to be his patient and have recommended him to many women. Is this Review about Christian S POPE helpful to you?